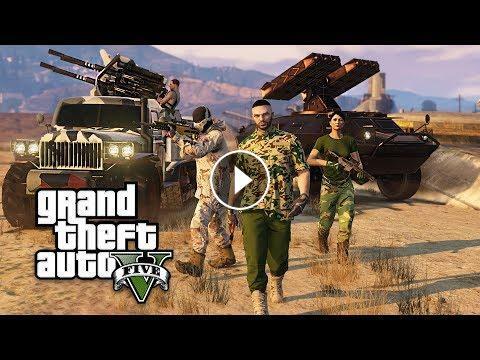 New GTA 5 Gun Running DLC update bunker missions, cars, vehicles and upgrades! GTA 5 Gunrunning DLC for GTA Online! Description of the new GTA 5 Online Gun Running DLC: "To thrive as an arms dealer in GTA Online: Gunrunning, it’s going to take more than street smarts. Choose your supporting vehicles and armaments wisely for your best chance to outwit both the feds and any rival dealers. Start moving weapons to eager buyers in Los Santos or Blaine County to earn a tidy profit and tap into powerful new upgrades, modifications and heavy duty weaponry." If you enjoyed the video & want to see more of the GTA 5 Gun Running DLC, press that Like button!